I was born in Gaesti, a nice little town 70 km away from Bucharest. Since 1993 I have a position at the Institute of Mathematics of the Romanian Academy. Right now I am a Principal Researcher II. I obtained my M.S. 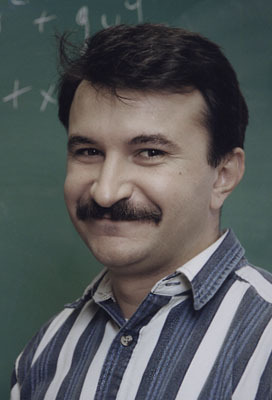 in Mathematics from University of Bucharest in 1993. I obtained my Ph.D. from SUNY at Buffalo in 2000. My advisor was Mohan Ramachandran. Between 2000 and 2002 I was a Postdoctoral Fellow at the University of Western Ontario. Between 2002 and 2004 I was an Everett Pitcher Visiting Professor at Lehigh University. My papers as downloadable PDF files.